Our conservator-restorers are highly skilled and knowledgeable in all aspects of rug and carpet repair. The specialist skills have been developed through extensive practical and theoretical in-house training to understand and customise the repairs for the specific condition of each rug. 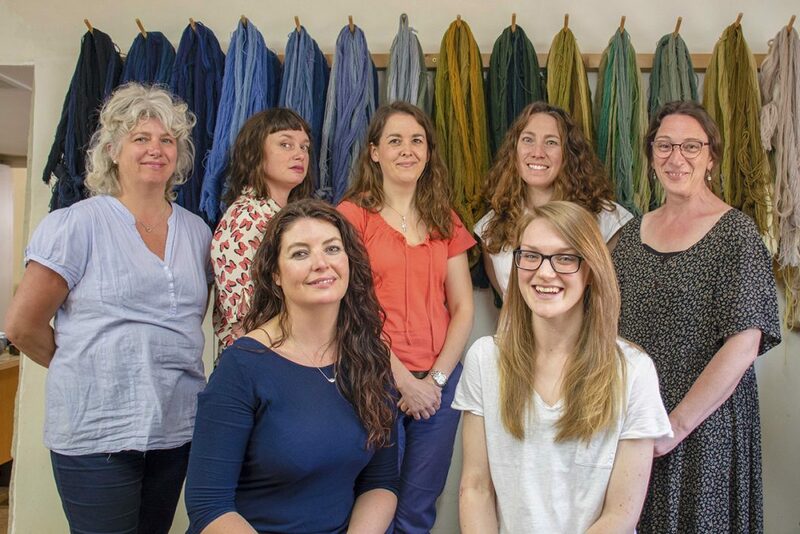 All conservators have backgrounds and training in the field of textiles and art. The conservators adhere to continuous professional development guidelines from organisations such as The Institute of Conservation and The British Antique Furniture Restorers Association. 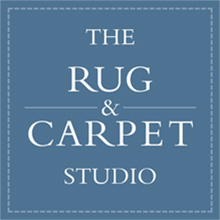 The Rug & Carpet Studio retains its reputation for high standards of practice with progressive thinking. We keep up to date with the latest techniques accepted within the profession to ensure we are doing our utmost to preserve rugs and carpets. We carry out research in order to develop new approaches in carpet conservation. We write articles and present lectures to share new methodology. The conservators regularly attend training courses and conservation conferences to keep abreast of the national and international professional standards in the fields of conservation and restoration. Jo has always been involved with art and textiles, and enjoys spending much of her spare time drawing and painting. Lenka also works with upholstery and soft furnishings. 1990 – 1994 Freelance Theatre costumes and Wedding Dress Company, Liverpool. Kerri has always been involved in creative projects, including designing costumes and sets for carnival floats, making costumes and clothing, carrying out alterations and enjoying various craft activities. Emma has always loved sewing, spending much of her spare time knitting and crocheting. City and Guilds – Textiles/Fabric Design and Embroidery, London College of Fashion, London. Employed making costumes for theatre and television productions. 1986 – 1988 Employed as a carpet restorer, Vigo Gallery, London. Hannah joined the Studio in 2017. Her background and experience is in costume and interiors. Working exclusively in the West End in wardrobe & freelance prop maker. Touring Germany with the Vienna Ballet Company as wardrobe mistress. Before joining our team Hannah worked part-time at a traditional sailmakers which has extended her skills in canvas and rope work. Rebecca also joined the team in 2017. She has worked in art installation, handling & conservation of art collections for the past 25 years. Rebecca enjoys painting, drawing and sewing and feels the aesthetic skills and dexterity required in these processes have lent themselves to both restoration and conservation. Your rug repair team did an excellent job with Sophie’s rug. It did look a sad case as Sophie’s cleaner in Hong Kong had put it in the clothes washer! The rug now looks like the one my mother bought for Sophie’s 21st many years ago. Just to let you know your attention to the various rugs you have undertaken on my behalf is much appreciated and fully to my satisfaction! Regret not having met you personally – Thank you for your service. Today I received a notice about the Restoration Workshops, sent on from my old address in Norfolk. I am afraid I am too far away now to be able to visit your workshops. I very much appreciated the work you did on my old rugs, you are providing a very valuable and interesting service. Just wanted to say thank you! Your team did a great job on my rug last week and a big thank you for doing in the 24hrs I had up in Suffolk. Best wishes. Many thanks for the excellent repair work and I am very pleased with the newly cleaned and mended Qashqai rug. We are delighted by your work on the pair of Kashan rugs that we bought in Teheran in the mid 1970’s. They have always travelled with us to our various places of work and were beginning to show signs of wear. Your cleaning and excellent restoration have revived them, so many, many thanks. The underlay will help on our present terracotta tiled floors. We appreciate your efforts and send our very best wishes. Sign up to our newsletter for the latest news, sale events, special offers, lectures & workshops. You can unsubscribe at any time. You haven't added any favourites. Contact us by phone or email and we can arrange for you to view the rugs. Your favourites have been emailed.